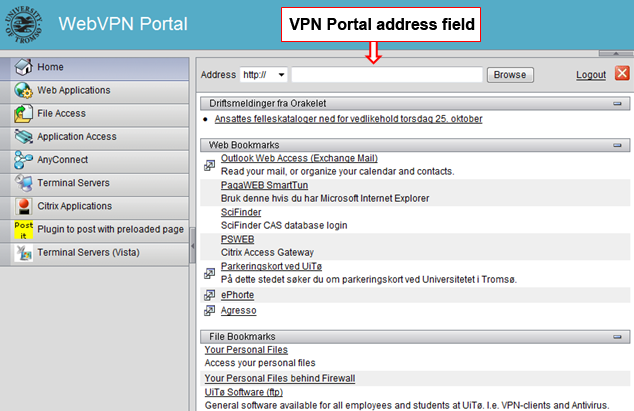 The VPN portal provides access to access restricted sites and online services at the University of Tromsø. If you attempt to log on to a service that does not seem to work through the VPN portal, try installing and running a full VPN service, AnyConnect, instead. This is where you enter the address of the website you want to access via the VPN portal. It is important that you use this address field and not the regular browser address bar when you want to access restricted web sites.